Newborns require special attention during the first months of life to ensure they enjoy the best possible health and to identify potential issues in their earliest stages. 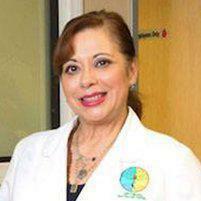 As a top pediatrician in Los Angeles, CA, Dr. Martha E. Rivera provides state-of-the-art newborn care for patients at Optimal Health Care Center. What Newborn Care Services Does a Pediatrician Provide? Newborns have very specialized care needs to help them avoid illnesses and to ensure they start life with the best possible health and wellness. A pediatrician who is experienced in newborn care is skilled in the evaluations and assessments that can help identify potential issues in their earliest stages so treatment can be provided right away. In addition, pediatricians perform developmental assessments, provide needed vaccines to prevent serious illnesses, and offer parents guidance to help them understand their newborn’s needs and what to expect as their infant grows. How Frequently Should a Newborn Be Seen By a Pediatrician? Subsequent visits should also occur at 15 months, 18 months, and 24 months of age - then scheduled once every year. The office should be contacted if the child develops an illness or if unusual symptoms are noticed. What Happens During a Newborn Well Visit? Newborn well-visits are focused on a series of head-to-toe examinations and assessments to ensure the child is healthy and that growth and development remain on track with standard norms. During the exam, the child is weighed and measured and the head circumference will also be measured to ensure the brain is developing properly. The doctor will use a stethoscope to listen to the heart, lungs and belly and the belly area will be gently palpated to look for signs of swelling. The baby’s arms and legs will be gently moved to assess joint function, and vision and hearing assessments will be performed. Parents will be asked a series of questions about their child’s behavior, feeding habits, bowel and bladder habits, physical activity and other critical areas to identify any potential medical issues or problems with development, and they’ll also be asked to provide a detailed family medical history to look for possible disease risk factors. Plus, the doctor will provide recommendations for immunizations to help the child avoid serious diseases and other medical and lifestyle guidance will be provided.